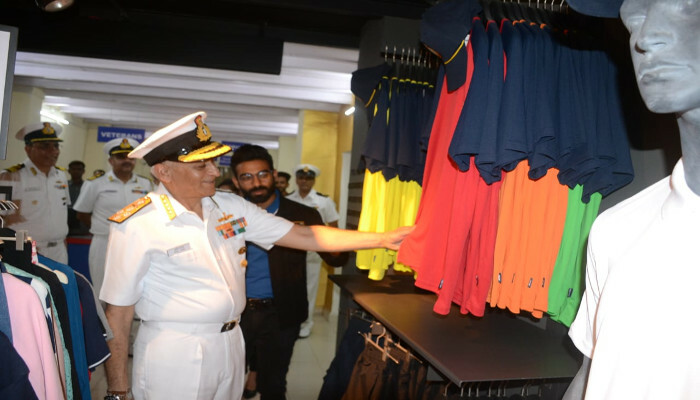 Chief of the Naval Staff accompanied by President NWWA, visited INS Hamla on 10 April 2019. 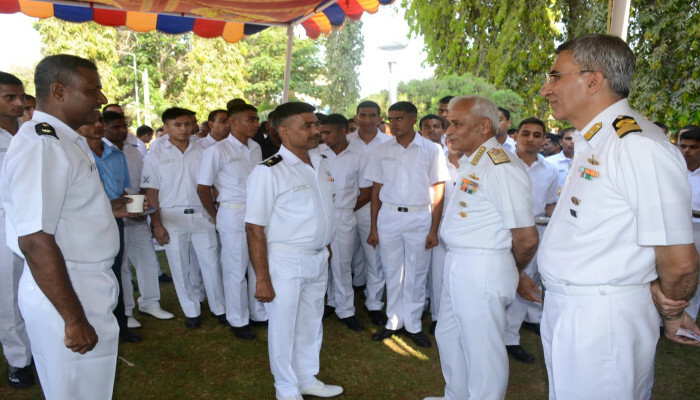 During the visit the Admiral interacted with the ships company, under trainee officers, sailors and DSC and civilian personnel. 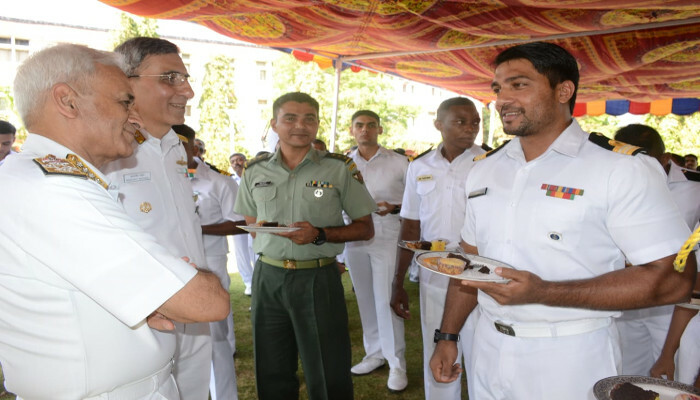 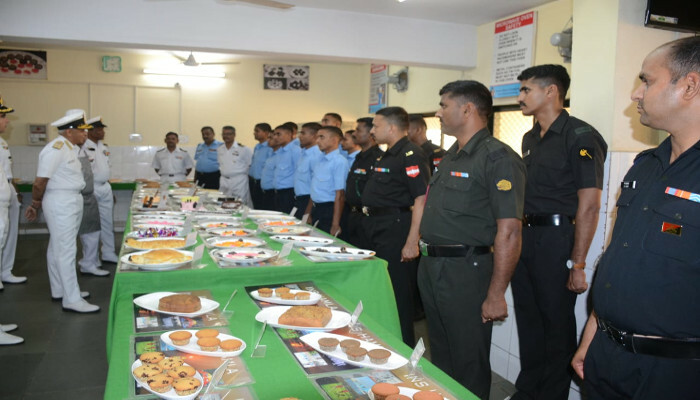 Speaking on the occasion, the Admiral appreciated efforts of the unit to set up and commence joint services training course in catering. 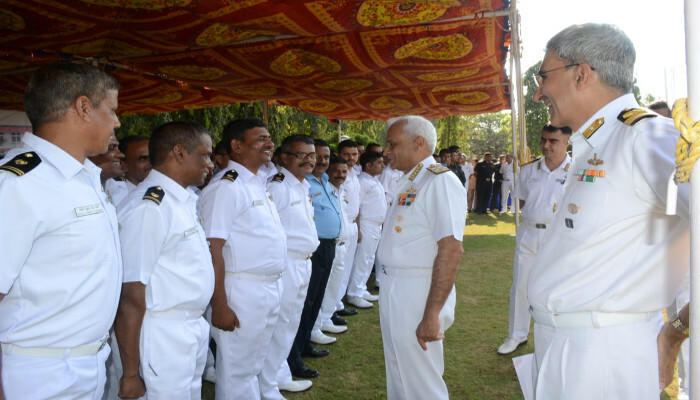 The CNS was also briefed on major works being undertaken by the unit to cater for dynamic and multi faceted demands of the Navy. 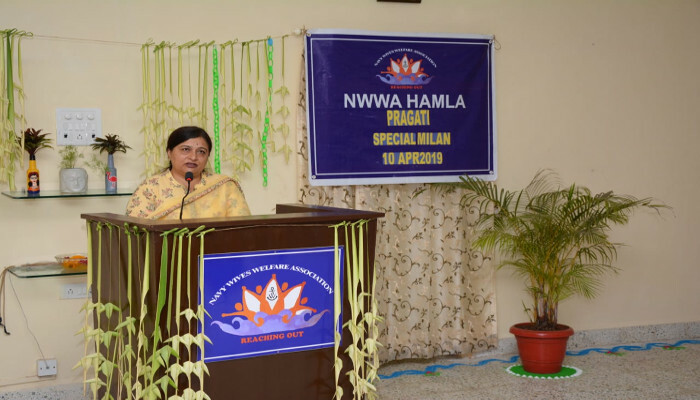 President NWWA appreciated the ladies for welfare activities and initiatives undertaken by NWWA Hamla. 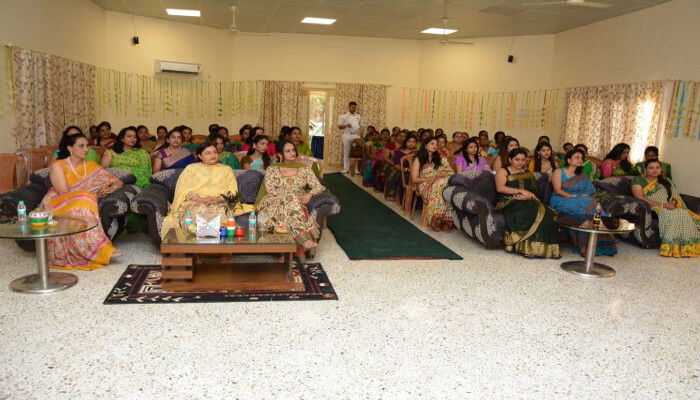 She also gave them an overview of new areas of women empowerment, which they could take up in future. 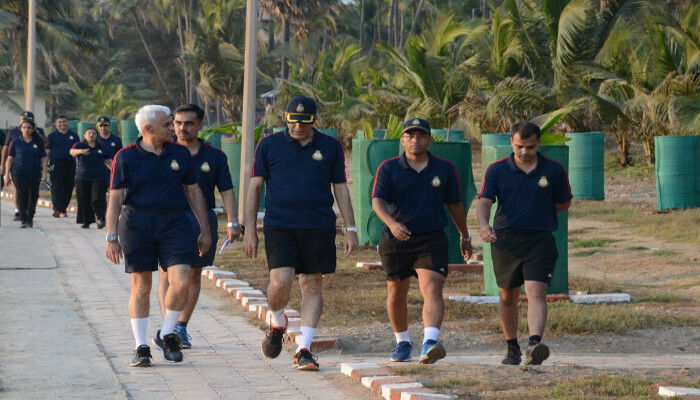 As a part of green initiative, the CNS and President NWWA planted saplings.